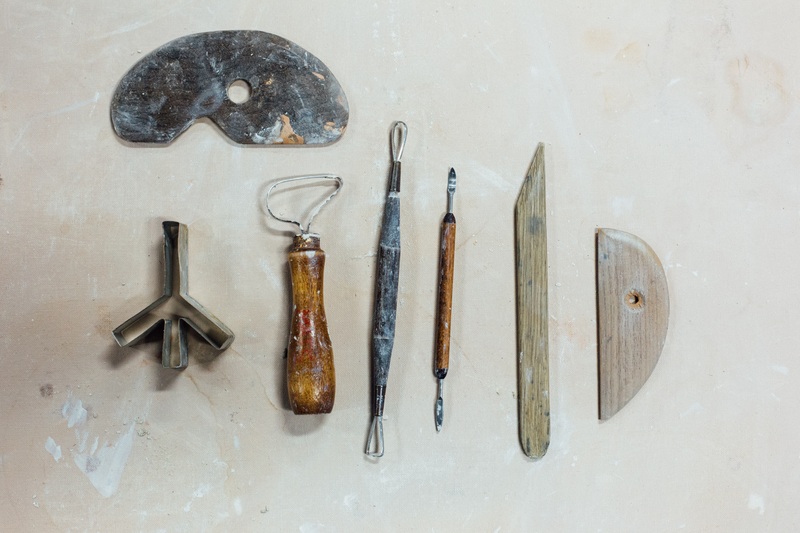 Introducing WELL CHOSEN, our new interview series featuring our beloved makers and artists. 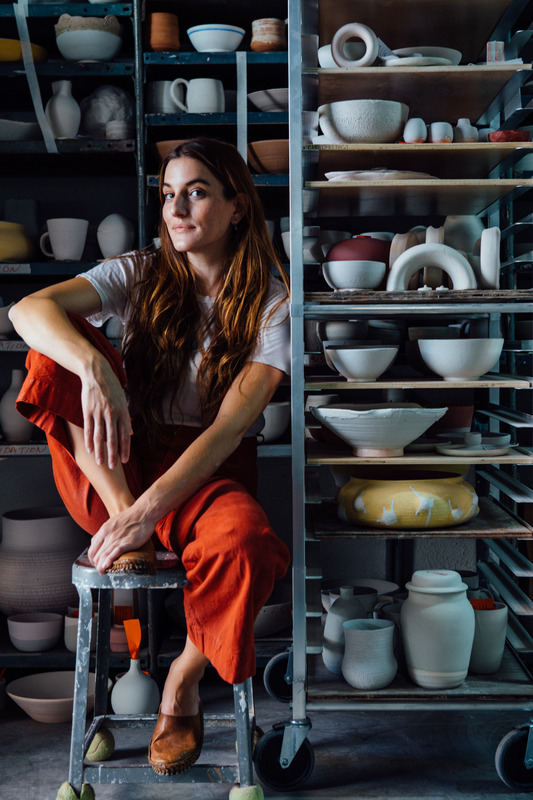 This week we talk to Lucy Michel, a Los Angeles based ceramicist and jeweler. Besides being our ride or die, she’s an incredibly talented artist who works with natural, hippie inspired tones in a modernist form. She is inspiring on a personal and professional level and we are honored to carry her work. Come in and see for yourself! 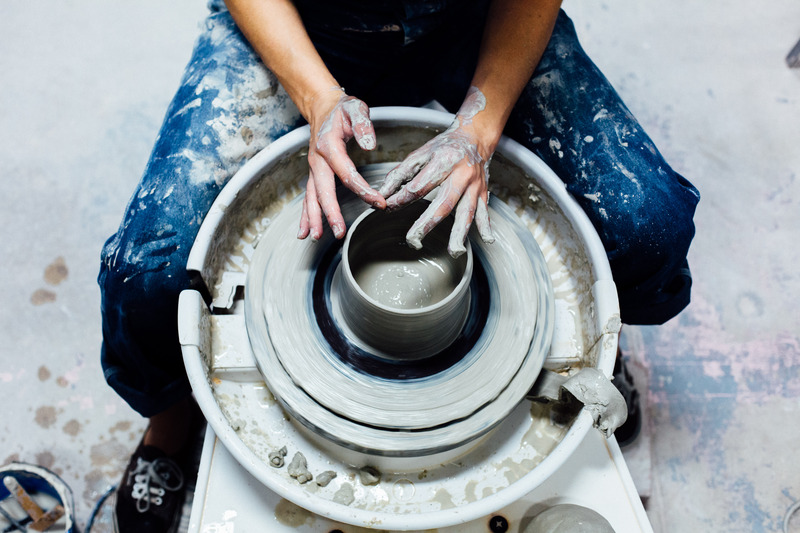 Tell us about your path to ceramics, how did you get interested in making pottery and when did you start? I've always been an artist in some capacity. I studied photography for over 10 years, had a dark room in my house growing up, and went to college in NYC to study it. After college I designed jewelry for celebrity and high end jewelry lines, which was amazing and creative, but I started to really crave something more sustainable and something I could physically make. I took a ceramics class 5 years ago and never looked back. Every day I'm stoked to get up and go to the studio. How would you describe your artistic practice and what inspires your aesthetic? I would describe my practice as disciplined. When I was first learning I went and practiced everyday, and I still go to the studio every day. Some days I don't feel inspired and I don't want to go, but the second I get to the studio something happens to me and I'm flooded with ideas. I think my aesthetic is Modern Californian. Growing up here, the California vibes are so engrained in me. I feel very connected to this land, from the beach, to the desert, to the mountains. It all inspires my work. The shapes of my pieces are modern, but the glazes and clay I use are earthy and simple. We always notice you have on headphones in your work videos, what type of music do you listen to when you throw? Sometimes I listen to podcasts; Pod Save America, WTF with Marc Maron, This American Life. Other times I'm listening to Cocteau Twins, R.E.M., Drake, ENYA, Father John Misty, Beyonce, Neil Young, The Smiths, and The Pixies. You were born and raised in L.A. but if you could live in any other city where would that be? I know it's kind of a boring answer, but I would maybe just take myself a little more north to Northern California. There is something about the energy up there. I love Big Sur, Point Reyes, Monterrey, etc. My friends and I joke about buying a huge piece of land and starting our own commune, "The Blue Moon Commune". What people, living or deceased, inspire you? So many... Picasso, Joni Mitchell, Beyonce, Matisse, my girlfriends, Georgia O'Keefe, Patti Smith, Elsa Peretti, Gilda Radner. New people get added every day. Tell us your favorite spots to shop and eat around L.A.
For shopping: Midland (obviously), Scout, Rose Bowl Flea Market, Fairseason Vintage / For eating: Gjusta, Sassabune, Destroyer, Sqirl, Moon Juice. What do you find most challenging and most rewarding about your work? 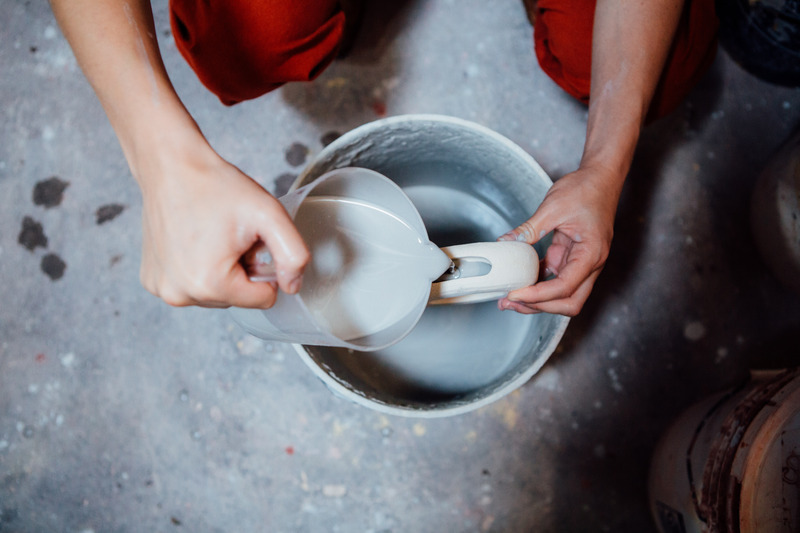 The best and worst thing about ceramics is that it makes you slow down. You can't rush the process. It becomes very mediative, it's one of the only things that I do in my day that truly stops my mind from spinning. I also can not explain enough how much joy it brings me to see people using and loving my pieces. It never gets old, I'm shocked and amazed everyday that people like what I'm making. I seriously thank my lucky stars. 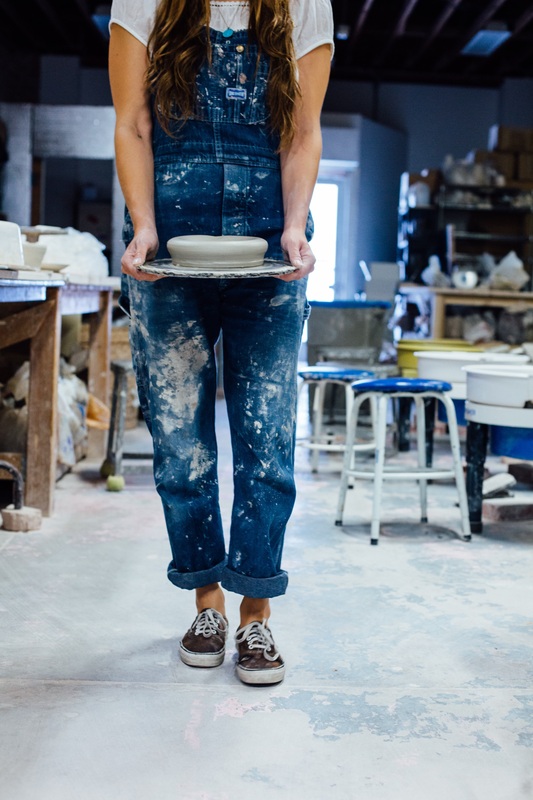 Tell us three overarching beliefs or ideals you have about today’s retail experience for artists. Align yourself with retailers that share your aesthetic, values, and vision. Stay true to what you're making no matter how many times your lookbook email doesn't get responded to. Quality over quantity (goes for what you make and where you sell). If you had one quote to live by…. Recently I'd say my quote to live by is stolen from Paige (co-owner of Midland)..."LESS CRAZY, MORE CHILL."